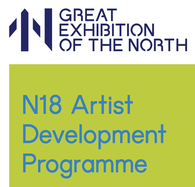 I have been one of the 18 artists that took part in the Great Exhibition of the North's N18 Artist Development Programme funded through Arts Council England's Ambition for Excellent Scheme May-October 2018. The three works I have created are inspired by the illustrated portrayal of the river Tyne in the Bridges commission for the GEOTN. I was curious to explore the movement and patterns created in the river water as the fishing boat ventured up the Tyne, contrasted against the structured backdrop of the hard edged buildings. I began with a photographic response collected from water sources around the North which possessed inherent links to a maritime past. 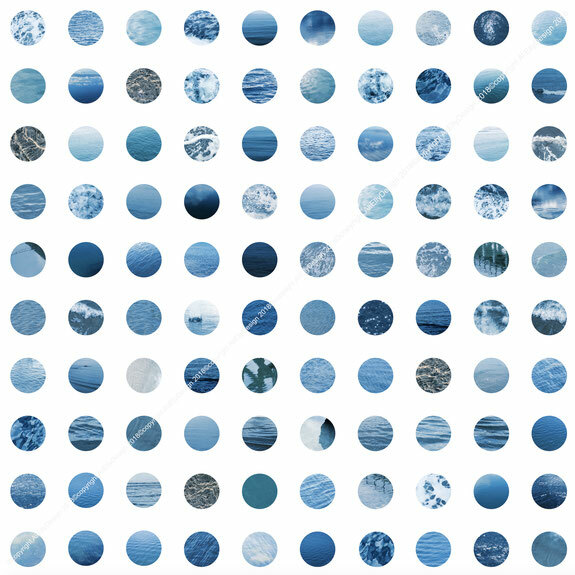 Each photographic image concentrates the infinite pattern generator that is nature, representing an explorative venture into the aesthetics of inherent pattern. This captures and abstracts the constantly changing form of water, and the sense of movement and dynamism that it embodies. By introducing a simple geometric grid, the images become restrained and isolated, which heightens the presence of variety in each frame. This juxtaposition emulates our continuing fight to build and organise structures around the irrepressible flow of water. The photographs can be further distilled by identifying a single raw shade of colour taken from the source images, capturing an essential impression of an impossible to recreate, unpredictable moment. 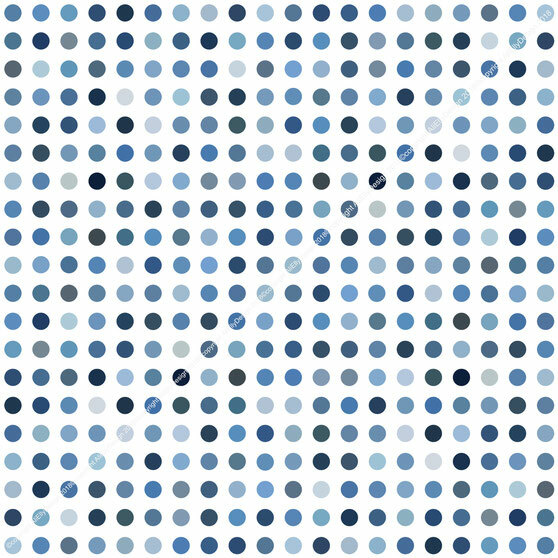 The uniformity of the blues sequenced into this format of simple dots brings further pause to the sense of movement, but paradoxically connotes an element of flow and motion through basic optical illusion. The creation of digital line drawings obscures the topographic features that manifest in the photographs. 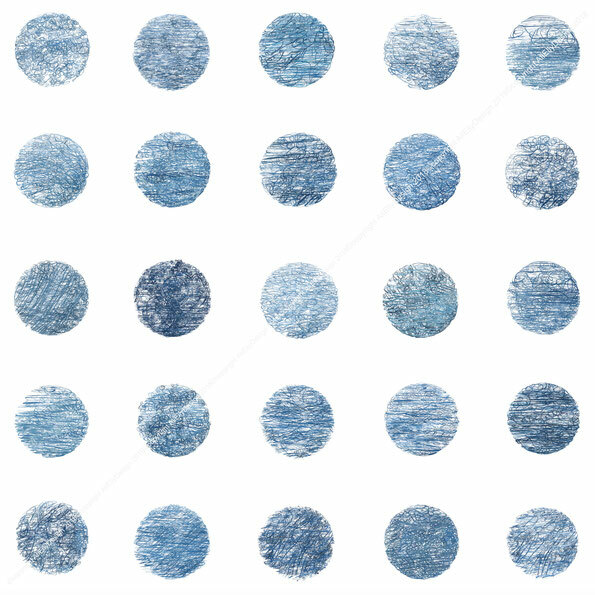 Each unique pattern is hand drawn using a tablet, before being overlaid and then compressed, bringing form to fluidity. The works are textural and tactile, digitally printed onto fabric to mirror the movement of a continually shifting form in a controlled format. The layered use of digital processes has enabled the introduction of a viable capture model to engage a subject which is otherwise inherently unpredictable, impossible to control or meaningfully re-create. It is my intention to pursue this concept in the exploration of new work beyond the N18 programme.